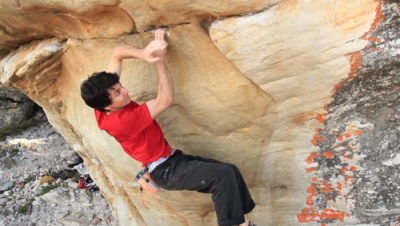 Very interested to see the Redhill Vanilla Sky boulder feature in this video! I assume this was from his previous trip??? Wow... slap in the face to all locals. So as the locals fight for access he comes in and not only climbs in Red Hill but makes a video of it? Aren't sponsored athletes supposed to be a representative of the community? Side note the Red Hill EMP has been finalized and was submitted to SANParks this week. I am actively following up for a meeting to push forward an agreement. wasatchgirl wrote: Wow... slap in the face to all locals. So as the locals fight for access he comes in and not only climbs in Red Hill but makes a video of it? Aren't sponsored athletes supposed to be a representative of the community? He may have climbed it on a previous trip. Here is his blog... him climbing Mr. Brainwash in Red Hill in July 2011.
wasatchgirl wrote: Here is his blog... him climbing Mr. Brainwash in Red Hill in July 2011. I'm not familiar with the Redhill area, but even I know that Redhill is closed and I live in Pta.